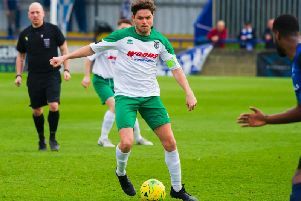 Bognor ground out a 0-0 draw at Bishop's Stortford to extend their unbeaten Bostik premier run to three games. It was a decent point from a gritty display and kept them in the play-off places - albeit down to fifth from third. Check out the match highlights on video and Tommy McMillan's selection of action pictures from the game.